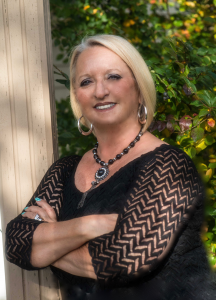 Beverly Bremness is a top Edmonton, Sherwood Park & surrounding areas real estate agent, and can help you buy or sell Edmonton, Sherwood Park & surrounding areas successfully. Learn more about Beverly Bremness's service. If you would like to contact Beverly Bremness about buying or selling property in Edmonton, Sherwood Park & surrounding areas you can email using the form on this page or call directly for immediate assistance. Get new listing updates daily in your email inbox by entering your home preferences and prices into the form, and Beverly Bremness will take care of the rest. Contact Beverly Bremness to get a free Edmonton, Sherwood Park & surrounding areas home evaluation to find out what your home is worth in today's Edmonton, Sherwood Park & surrounding areas real estate market. From this website you can access up to date Edmonton, Sherwood Park & surrounding areas real estate listings, buyer and seller resources, and expert Edmonton, Sherwood Park & surrounding areas real estate advice from Beverly Bremness. Browse all of Beverly Bremness's personal Edmonton, Sherwood Park & surrounding areas listings and featured office listings and see the best homes for sale in the Edmonton, Sherwood Park & surrounding areas market today. Read some of what our best clients have to say about Beverly Bremness's service during their time buying and selling Edmonton, Sherwood Park & surrounding areas real estate. Their positive feedback is a source of great pride. If you're a home flipper or interested in a Edmonton, Sherwood Park & surrounding areas fixer upper home that needs some extra care, use our Edmonton, Sherwood Park & surrounding areas Listing System Handyman search tool. Get detailed and helpful Edmonton, Sherwood Park & surrounding areas home buyer reports sent directly to your inbox for free, and learn more about how we can help you successfully buy property.